A breathtakingly beautiful photo of a historical moment: NASA Astronaut Robert L. Stewart untethered above the Earth during the first Manned Maneuvering Unit (MMU) exercise. The photo was taken on February 7, 1984, during the EVA 1 (Extravehicular activity) of STS-41-B, the tenth NASA Space Shuttle mission and the fourth flight of the Space Shuttle Challenger. 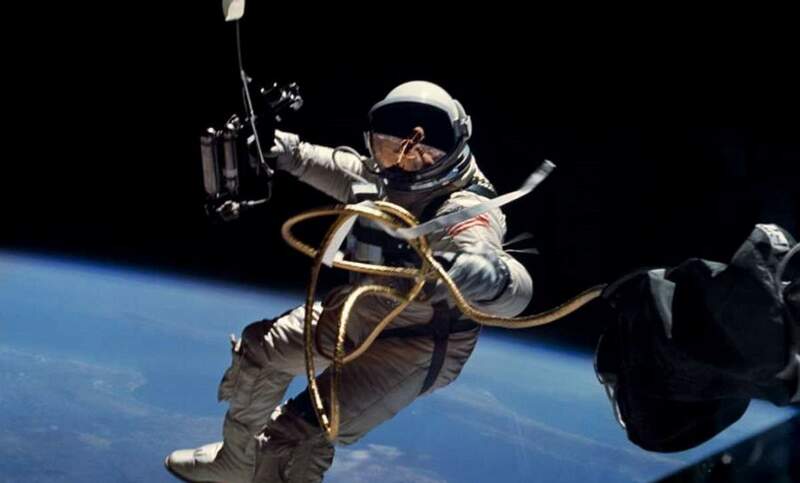 The total duration of the spacewalk was 5 hours 55 minutes. Bruce McCandless II and Robert L. Stewart tested a nitrogen-propelled, hand-controlled backpack device called the Manned Maneuvering Unit (MMU). In this EVA, Bruce McCandless II broke the untethered spacewalking record with a distance of 98 meters (320 feet). Can you find the spacewalker’s legs in this photo?